The Who have announced dates for their farewell tour of North America in 2015. “The Who Hits 50!” will see the band present an overview of their career, from The High Numbers to today. The show, which guitarist Pete Townshend describes as ‘hits, picks, mixes and misses’, will see the band play all the classic anthems as well as deeper cuts from their extensive catalogue. 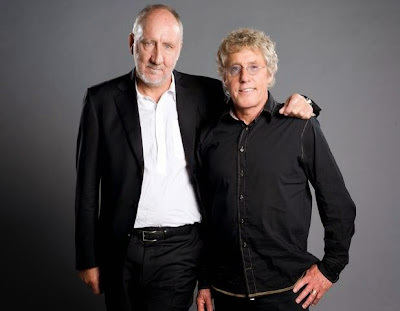 The Who will launch a 6-week spring run in Tampa, Florida on April 15, with shows wrapping May 30 in Forest hills, NY. The group will return for a second leg in the fall: dates begin September 14 in San Diego, CA and conclude November 4 in Philadelphia, PA.
For fan club ticket presales visit TheWho.com. The Who fan club members get a 48-hour exclusive window before anyone else to purchase presale tickets, beginning Saturday October 11th at 10am local time. Citi cardmembers will have access to purchase presale tickets for the U.S. dates beginning Monday, October 13 at 10:00 AM through Citi’s Private Pass Program. For complete presale details visit www.citiprivatepass.com. $1 from each ticket sold on “The Who Hits 50!” tour will benefit Teen Cancer America. The track will be featured on the forthcoming compilation, “The Who Hits 50!”, set to be issued in sync with the start of their 50th anniversary farewell tour of the same name this fall. Due October 28 in North America (November 3 in UK and elsewhere), the 2-disc package presents 41 classic Who tunes plus the new tune. The Who will kick off their farewell with a 12-date UK tour starting November 26 in Dublin, Ireland.